Peter Watson. 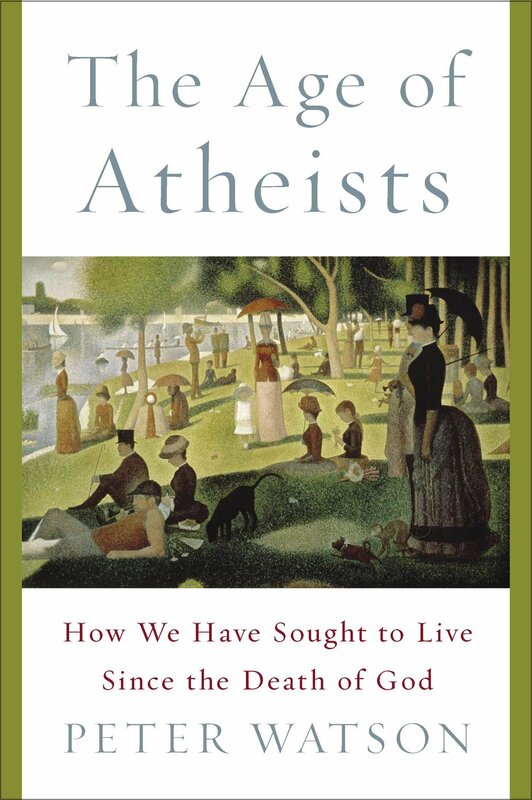 The Age of Atheists: How We Have Sought to Live Since the Death of God. New York: Simon & Schuster, 2014. 640 pp. $35.00. Through two major works, Sources of the Self (1989) and A Secular Age (2007), Canadian philosopher Charles Taylor has argued that in the wake of Nietzsche the onslaught of scientism, rationalism, and secularism has thinned out the moral world we moderns inhabit. As a subtraction story secularism disenchants the world, emptying our sense of transcendence and pushing us into an “immanent frame” of living that’s inevitably hollow and existentially impoverished. Other secular thinkers such as Luc Ferry and Ronald Dworkin have, in their own ways, joined Taylor in this judgment. In The Age of Atheists: How We Have Sought to Live Since the Death of God Peter Watson hopes to change the narrative by pushing back on Taylor’s impoverishment thesis. In this massive and thoroughly entrancing work of intellectual and cultural history, the prolific London-based author aims to recount hitherto-untold drama of the multifarious and rather “thick” ways we’ve tried to “live without God” ever since we discovered his death about 120 years ago. You can read the rest of my review of this fabulous book over here at The Gospel Coalition. 1. I am quite skeptical of attempts to blur the distinction between the secular and religious. There are real differences between mechanistic cause and effect thinking and more wholistic personalist thinking, and secularism is an attempt to do away with the latter as much as possible. Of course, you can never wholly succeed at such a task, but you can succeed enough so as to barely think about God and never darken a church door. In any event, there are many distinct differences in the way secular people and religious people (of all types) think about and perceive the world. To deny this seems foolish. 2. Poetry is indeed a better fit with a religious worldview, and the alleged secularism and atheism of many of the poets and artists listed on the back cover of the book is highly dubious. “Atheist” in such context often means simply “non-Christian.” A good book on this is Timothy Materer’s book Modernist Alchemy, which shows how scholars and critics have radically downplayed the religious beliefs of modern writers. It also seems that “thick” forms of secularism seem to be seriously on the wane. The developed world seems to have collapsed into a Last Mannish ‘meh, whatever’ state. I’d say this is a more perfect outworking of secularism than those other “thick” forms. They often had a good deal more genuine religion in them.